Talk about Kansas University Football Recruiting. @Kcmatt7 Lol - I love it. “Highly Sought After”. Good stuff Jayballer. Keep up the good work. @Texas-Hawk-10 I hope not but cant say that I remember much of his time at OSU and didnt really watch LSU. LSU is the other team I follow besides KU since I’m originally from Louisiana. Clock management was a frequent issue for Miles. When that’s your worst fault on offense though, not the worst thing in the world. If one of the QB’s really flourishes under Koenning’s system, I really wouldn’t be that shocked if KU went bowling next season. I think the OLine will be fine, it’s just a matter of having a passing threat so teams can’t key on Pooka all the time. Boy oh boy, I sure didn’t see much coverage of our spring practices. Maybe the practices are just spaced further apart, so there’s a week between practices? idk. There was a week between the 2nd and 3rd practices because of KU’s spring break. Any dishonesty and misrepresentations aside, I wonder, is it Beatty’s job to make sure the guy is “certified,” or the University that employs the assistant coach? In short, yes. He has to know and make sure anyone he hires is actually eligible to have that particular job. I don’t think it’s necessarily his job to make sure they get eligible (that’s on the coach and AD), but it is Beaty’s responsibility to know whether it’s been done or not. Well just read where we have a new addition to the staff. Keith Belton the assistant Strength and Conditioning Coach from USC - - is coming on board for us. 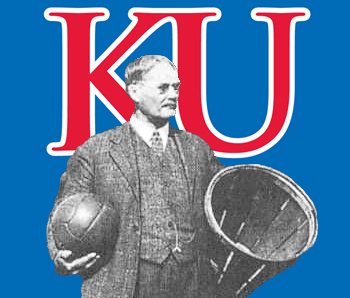 Pooka will be at Kansas as long as he’s not booted for this and Tony Hull sticks around. Where does Les Miles rank among the best coaches? New REAL Coach, Stadium Improvements and lots of new able recruits. Sounds like KU is taking Football more seriously. and GET US OUT of the BIG 12. Who wants to be dominated by Texas anymore. Tate Martell in the Transfer Portal now as well. Now that one is intriguing… He’d have 3 years of eligibility remaining. My son played fb for Roger Robben 2 years. He played at KU, same class, died recently too. @FarmerJayhawk Also keep in mind that most cord cutting options like Roku, PSVue, Sling and others are not true a la carte options yet, they offer different packages based on similar type of programs such as premium movie channels, sports, travel and cooking, and options like that. Getting a conference network into those line ups as part of a sports package is what each of the conferences needs to do. The B12 is out in the cold on this because they don’t have a conference network because of the Longhorn Network which ESPN doesn’t want to roll over into a B12 Network which would the smart move on their end since the LHN isn’t available everywhere because they won’t do a deal with Comcast. Make it a B12 Network and Comcast would pay the price ESPN wants. I really do believe one of the P5 conferences is going to die during the next round of realignment which is coming in the next 5 years and it’s going to be the B12 because the lack media markets outside of Texas that anyone cares about. All we have to do is finish the season in January undefeated. I guarantee that would mean we won the NC. Can’t say he was left a cupboard of recruits to try and retain. Tough spot to be in so close to the early period. What is KU looking to get this cycle? Can they sign 25?